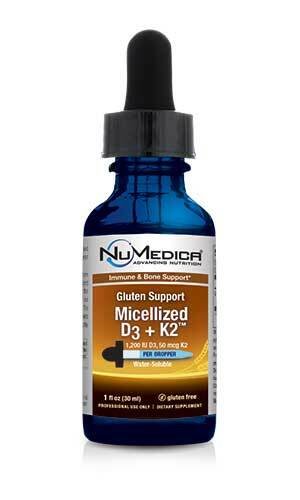 NuMedica GS Micellized D3 1200 provides your body with an optimum amount of vitamin D. A fat-soluble and water-soluble vitamin, this micellized form of vitamin D encourages improved absorption and metabolism of nutrients like calcium and phosphorous. Medical researchers assert that many people do not get the required amount of vitamin D to support overall good health. People, especially in winter, are not exposed to enough sunlight to produce the vitamin D they need. NuMedica GS Micellized D3 will ensure that you obtain the vitamin D you need to support good health. 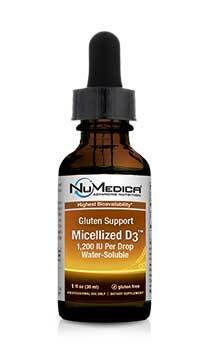 A nutritional supplement like NuMedica GS Micellized D3 1200 allows you to reduce your risk of vitamin D deficiency. If you spend considerable time indoors or live in an urban area where buildings prevent direct sunlight, you might be at increased risk for a vitamin D deficiency. 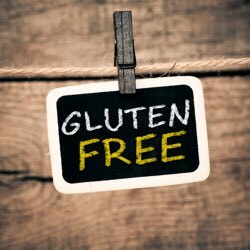 The micellized form of vitamin D provides you with the optimum level of this nutrient daily, so you don't have to worry whether or not you've spend enough time in the sun or eaten enough yogurt to obtain that essential vitamin D.
GS Micellized D3 1200 - 1 fl. Oz. 1 Drop 750 Adults take one drop daily mixed in 1-2 oz. water or juice or as directed by your healthcare practitioner. Caution: Keep out of reach of children. Not recommended for children.